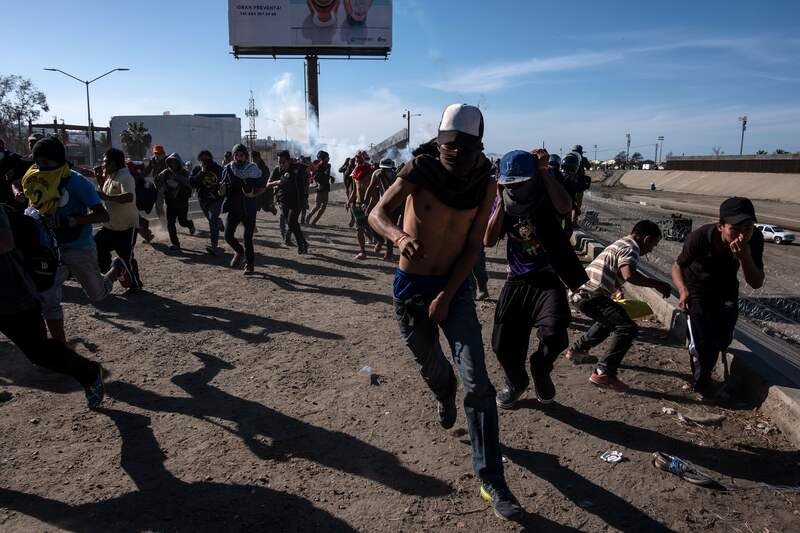 US Customs and Border Protection claimed that the migrants threw projectiles at several agents, leading to the use of tear gas. US Border Patrol agents deployed tear gas on a group of migrants at a major US-Mexico border on Sunday as the group tried to gain entry. According to CNN, the group of about 500 migrants were on the Mexican side of the border when they rushed the border area near the San Ysidro Port of Entry. As the group tried to gain entry and cross the border, authorities on the US side deployed the tear gas to try to disperse them, sending people – including families with young children – running. US Customs and Border Protection claimed that the migrants threw projectiles that hit some agents. “Border Patrol agents deployed tear gas to dispel the group because of the risk to agents’ safety,” the agency tweeted out. The fallout caused the port to be closed for hours. The group, part of a caravan of Central American migrants that have been making their way to Tijuana, Mexico to seek asylum in the United States, has drawn protests – for and against them – while President Donald Trump has threatened to close the border and deny those who gained entry outside of legal checkpoints asylum.